You know health care is changing when patients self-diagnose their own heart conditions and email EKG’s to their cardiologists. According to USA Today, a nutrition student at California State University diagnosed himself with Wolff-Parkinson-White syndrome, a condition resulting from irregular cardiac electrical activity. His diagnostic tools? His smartphone and a textbook on EKG interpretation. After suffering from the condition for years, he approached a cardiologist with his theory, who confirmed it and began treatment. Technology is impacting standard patient care procedures along with everyone involved in the health care process, from specialists and practitioners to nurses, students, and patients themselves. 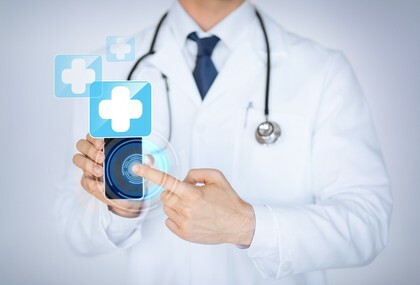 The effects of mobile apps on physicians are surprisingly broad. The “Psych on Demand” app simplifies the complex charts and tables involved in diagnosing psychological conditions, making it easier than ever for psychologists to fill out those forms, diagnose, and treat patients. “Pocket eye exam” makes it possible for physicians to carry visual acuity cards often used in vision tests, without bulky cards and folders. Physicians are increasingly using their smartphones to log patient information, fill out forms, and even record treatment options. The reliance on technology makes it more important than ever for doctors and patients to choose a versatile, powerful smartphone and to keep chargers on hand at home and at work. For patients, smartphones have suddenly become a powerful option for researching and monitoring existing conditions, and for sharing vital information with primary care providers. A cellular-based glucometer app makes it easy for diabetics to automatically record blood sugar readings at the touch of a button–and to share the readings with doctors or nurses. For those with heart problems, the small Smartheart device attaches to smartphones to become an instant electrocardiogram machine. Patients can email EKG reports directly to their doctors in seconds. Other apps, like GoodRx, simply help patients find the best deals on prescription medications; many insurance carriers are also developing their own mobile apps to make it easy to track doctor’s appointments and treatment plans. Studying for medical school has never been easier. Apps like LearnENT help students learn the fundamentals of head and neck surgery and otolaryngology. A chest X-ray training app teaches radiology skills. First Aid for Step One 2014 delivers a board review book almost every medical student uses into the form of an app, making studying for board exams easier-to-navigate and more efficient than ever.